Home / Cooking with QuiBids: The results are in! We got so many excellent entries in this year’s Cooking with QuiBids contest that we considered hiring all of the entrants as corporate chefs. But after we cleaned the drool off the desks of our Oklahoma City offices and realized that creating a budget for new hires who exclusively cook delicious food for our employees made no fiscal sense, we picked out the most mouth-watering ones and put them up on the QuiBids Facebook page for you to vote on! And we’re excited to report that the results are now in! 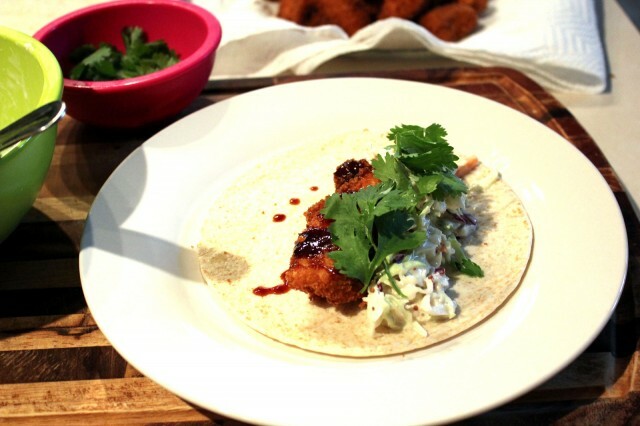 This year’s Cooking with QuiBids winner is Jill N., whose Crunchy Honey Chipotle Chicken Tacos recipe may not be literally to die for, but darn it we’ll take up arms to defend it. The dish in question is pictured above. Congratulations Jill, you’re taking home a $350 KitchenAid Stand Mixer and a $50 gift card to Walmart to boot! Thanks to all our customers who entered in this year’s Cooking with QuiBids contest; we recommend you try out Jill’s recipe —which we’ve copied in below— yourself! And if you do, here are a couple of great QuiBids products you’ll need to fix those yummy tacos! 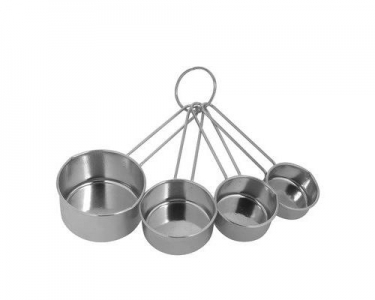 You’ll need these when it comes to measuring out and mix the mayo, Dijon, vinegar, and stuff together for the coleslaw. 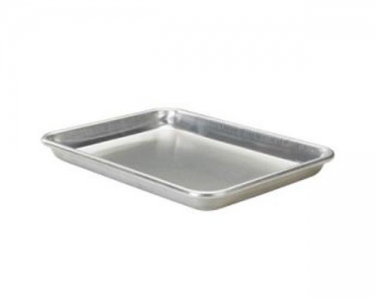 The directions call for a baking sheet, and we happen to sell this awesome one by Nordic Ware at Floral Green Picnic Set! 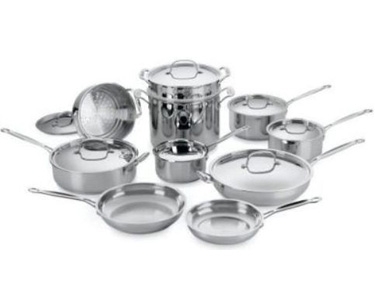 Buying a new set of pots and pans to prepare a simple taco dish is kind of like trying to remove a mustard stain by uncorking a fire hydrant, but the recipe does call for a couple pots and if you’re in the market for a new set you should definitely check this one from Cuisinart out!